When it comes to photo editing or postproduction of images, you may only require basic edits or an application which is automated for casual use. Photolemur 3 fills this gap with a fully automatic application which is drag-and-drop. 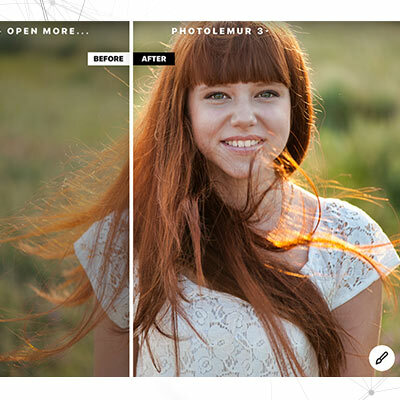 There are other automated image editing tools out there, but Photolemur 3 say they stand above the rest because their application uses Artificial Intelligence to produce more convincing results. Photolemur 3 is available for both Windows and Mac OS, with a free download version. Photolemur comes from the very clever lot at Skylum who have been working on using machine learning for image processing, which includes image upscaling, tagging, segmentation, and automatic enhancements. This means that each image processed trains its network to understand each element in the image from faces, people, architecture and so one and applies the best edits for each. All clever stuff. This latest version uses 14 different AI technologies for image processing and cloud-based batch editing. Raw files are now supported along with JPEG, TIFF and DNG files. The new version has also included Eye enlarger, Facial retouch styles, new export, and batch processing. Automatic face enhancements detect and clean up edits usually made to the face, such as wrinkles, teeth whitening, eye circles, and enlarge eyes. The Photolemur 3 styles use the AI to apply Instagram like filters to the overall look of an image. Other features added in this version include exporting to SmugMug for Mac users, applying Boost, Styles and Facial Retouch to batch process a bunch of images and various performance improvements to the whole AI system. With an automated mindset to everything, a simple interface has been employed which starts with a button for loading in new images with the file browser, or simply dragging and dropping photos into the software. Once an image is loaded as a minimum size of 800x600px, one downside first experienced is that the image cannot be zoomed into or go fullscreen, but at least you have a slider for checking out the before and after of an image. A basic menu can be accessed if you click the ‘Photolemur 3’ logo which lists basic operations like loading more images, adding new styles, settings, and help. Once an image has loaded, processing is completely automated, with basic options once processed. There is a ‘before and after’ slider on the processed image for comparison purposes, from there you can either export the image with the ‘Export’ button or use the Brush icon to move the slider to adjust the degree of the processing or effect on the image. The brush icon has further options showing the Eye enlargement and Face enhancements. Different styles can then be applied to an image after the initial processing. If this style of editing and the results you are happy with, then this could be a great way to speed up postprocessing and batch processing in your workflow. Batch processing images makes sense with such automated software. If you have a folder full of images which just need basic edits, then this could be an ideal timesaver. Photolemur 3 will intelligently tweak white balance, lens correction, and styles, just by dragging and dropping folders onto the interface. This isn’t going to be a complete replacement for manually editing your best images, but as a quick and automated way to blast through thousands of images which you may otherwise not bother with is a definite advantage. There is some control over batch processing when you import a folder of images where you will see a gallery of your images, then double-click each image and adjust settings individually. You can also right-click after making an adjustment on one image and apply the settings to the rest of your images. You just cannot save these edits as a preset. Exporting your images is a straightforward process with the usuals settings of where you want to save images to, with what names, in what format, the color profile and dimensions. You can save export settings as a preset, with two defaults being Web JPEG and Email. If you have only ever been used to manual editing of images then complete automation may seem a bit dubious. Photolemur 3 works surprisingly well in hitting a correct exposure, color correcting, white balance, and lens correction. The best results are going to come from RAW files with the software taking advantage of the extra dynamic range to be able to boost shadows and pull back overblown highlights. White balance temperature usually comes out being more neutral than anything, with no images looking overcooked or too warm. Noise reduction in Photolemur 3 is very consistent with very low noise levels, but the flipside is that once you start pixel peeping images they do look a little soft. This means that sharpening has been possibly affected by the smoothness of the noise reduction. There is an automatic lens correction feature which you can turn on and off. Another on/off feature which was needed in this latest release is Face Enhancement and Eye Enlargement. 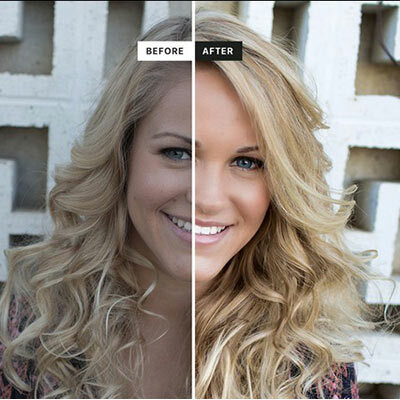 Editing faces from wrinkles to teeth whitening can be quite time consuming, so having software that can automate this process is definitely worth investigation. Depending on your subject, colors are enhanced, skin softening is definitely thrown in there and even hair can be highlighted. The results don’t seem to be over the top and a definite enhancement over an original if your exposure and lighting are a bit off. The ‘styles’ add Instagram-like Filters to an image with different color gradings. There is a facility to add more styles in the future from the web, but none seem to be available at present. If the limited number currently available are to your liking, this could be a straightforward way to batch process tons of your images. Versions one and two of Photolemur were okay but needed much improvement. Step in Skylum with the new functionality and the new software is starting to look appealing. Without going into the whole ins and outs of AI editing, Photolemur 3 produces pretty good edits without pushing the boundaries. It’s impressive to see blown highlights reduced, shadow detail enhanced and white balance tweaked without touching everything, but there is the caveat of less sharpening to the images. Face enhancement and Eye enlargement worked reasonably well but currently doesn’t replace manual editing. Works fine if you just want some basic tweaking or overall automatic enhancements. This means that the software can be a great choice for either people starting down the road of image editing of those who just want an automatic workflow. Along with the batch editing, this could work for both amateurs and pros. Photolemur 3 won’t replace a Lightroom, Photoshop or someone very experienced in post editing, but as an intelligent automated piece of software, it definitely produces good results. The software can also be used as a plug-in and considering there is a free trial version, its definitely worth checking out.